To draw the attention of the Westminster Government to the great need for the provision of increased funds for technical instruction in Ireland, a public meeting was held on 31 October 1917 in the Council Chamber in Cork City Hall. The outcome of the debate was recorded in the Cork Examiner the following day. The general calls made were similar to calls in Irish society today for a focus on creating the jobs of the future and that an educational system be put into place to prepare students for them. At the meeting Lord Mayor T C Butterfield presided, and the large attendance included Bishop Cohalan, UCC President Sir Bertram Windle. M Healy MP, E Crean, the City High Sheriff, and Arthur Sharman Crawford. The Lord Mayor noted it was essential that they should be prepared for conditions after the war, and that it was necessary for them to be “up and doing, and not to be caught napping”. To him technical education was one of the essentials to which the youth of Ireland would need to prepare for and meet after the war concluded. It was therefore necessary for them to get an increased grant from the Government for the purpose of technical education. Sir Bertram Windle of UCC spoke and wished to remind the Westminster Government of the fact that the local authorities in Ireland voluntarily raised rates for the maintenance of the technical instruction schemes. He based his demand for extra funding not only upon the right of Ireland to an equivalent to the increased expenditure on education in England and Scotland, but also upon the fact, that technical education in Ireland had advanced so rapidly since its inception. Windle stressed that it had long since outgrown its original endowment, which had been actually reduced since the commencement, of the war. In addition to the existing grants, he strongly appealed for the active cooperation of the public bodies and public representatives in bringing pressure to bear on the Government to secure for technical education in Ireland the funds required. 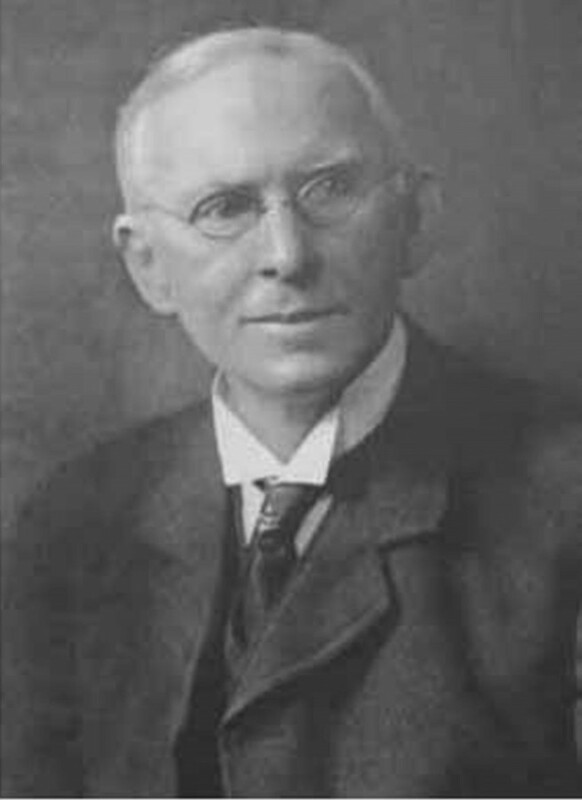 Arthur Sharman Crawford, Vice-Chairman of the Borough Technical Committee, remarked on the success of the Crawford Municipal Technical Institute but there was a need for more technical education colleges. He highlighted that the School of Commerce, which began in Cork in 1908 at the Cork School of Commerce on Jameson Row on the South Mall, held its classes in premises totally unfit for its 500 students. The rooms were few, small, and quite unsuited for class purposes. He deemed it essential that the Chamber of Commerce must offer full and adequate day courses of instruction in commerce. A new building was urgently necessary for the development of commercial education. He highlighted that the School of Art was built by a private individual, and was, therefore, the only one of the city’s four school’s that was free of a charge for loans or rent. The extension of day trades preparatory instruction was clearly necessary. Cork had an excellent day trades school at the North Monastery, but another school was urgently required in view of the industrial developments such as the Ford plant that were taking place He noted that the Technical Institute had apprentice classes, workshops and laboratories in the daytime but night course could also be run there. However, a lack of funds limited this vision. According to Mr Sharman Crawford, teachers should be properly prepared for their work through special training, such as that given in the Irish Training School, and he claimed that an extension of this work was urgently necessary. He appealed for the creation of a central bureau where manufacturers and trader, could chat with experts on difficulties of production and marketing. It was necessary that teachers should be experts in their respective branches. He requested that teaching posts should have a sufficient salary attached to them. He argued that in many cases their training encompassed long and expensive course of education. He noted; “To attract these teachers the present rates, of remuneration are entirely inadequate. It is absolutely necessary, if the right type of teacher and officer is to be secured; that there should be a guarantee of pension in reward for-services rendered during the best years of their lives”. 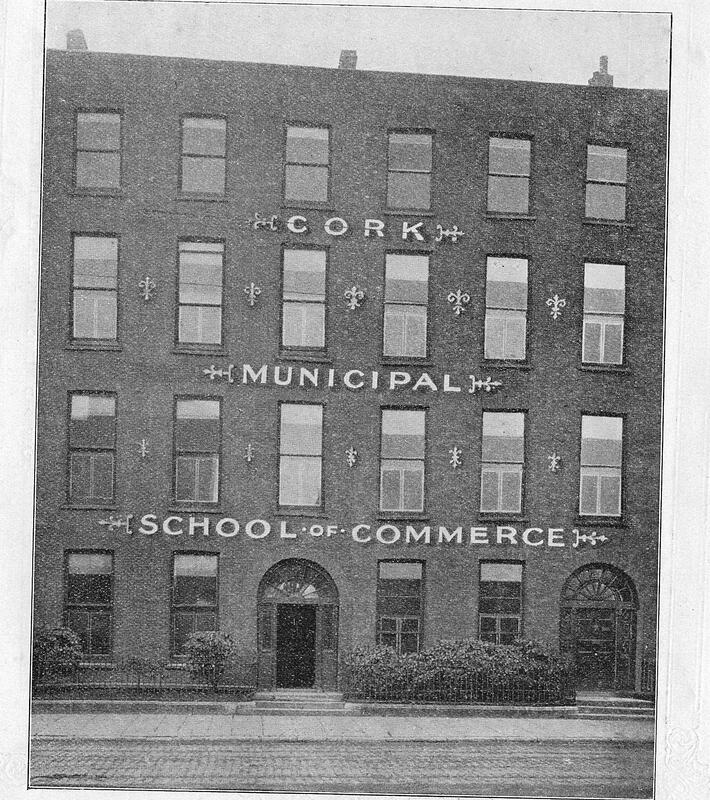 In a Cork Chamber of Commerce publication entitled Cork: Its Trade and Commerce (published in 1919), commercial classes began in Cork in 1908 at the Cork School of Commerce on Jameson Row on the South Mall and these were given to 550 students. The business methods department was particularly well equipped containing the latest filling systems, duplicating apparatus, specimens of various types of loose leaf ledgers, and other examples of modern saving appliances. Courses could be studied for four or five years and comprised: commercial arithmetic, book-keeping, accountancy, auditing, commerce including commercial practice, commercial English, salesmanship, insurance, banking and finance, railways, home and foreign trade, economics, French, German, Irish, Russian, Spanish, commercial geography, commercial and industrial law, company law, shorthand, typewriting, and manifolding (or carbon copying). Introductory course subjects were English, mathematics and drawing. In addition to the course of study above, the School arranged each term for a number of public lectures for Cork citizens.